Jyoti Khamkar (Director, Winners Life Training and Consultancy) while felicitating Sanjeev Pendharkar (Director, VICCO). Sanjeev Pendharkar (Director, VICCO) was honoured with the ‘Best Industrialist Award’ at a function organised by Winners Life Training and Consultancy on February 3, 2019, at Yashwant Natya Mandir in Mumbai. The function was organised to commemorate 13th anniversary of the consultancy. 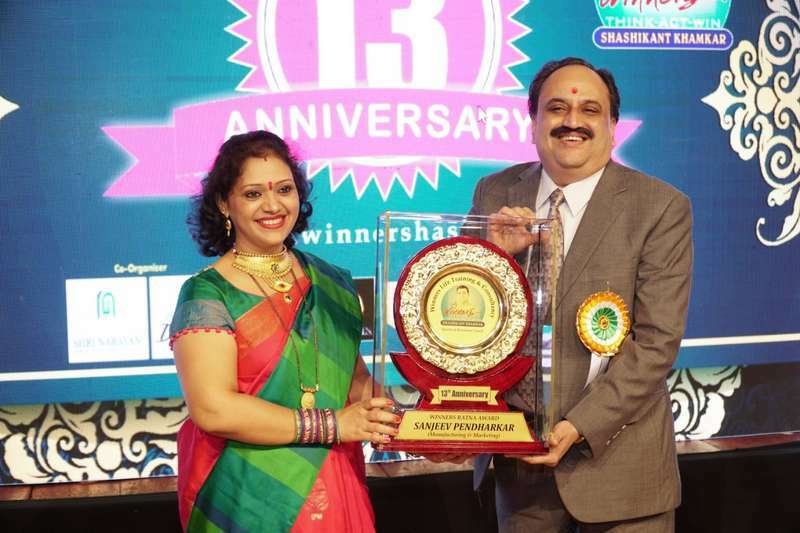 Pendharkar received the award at the hands of Jyoti Khamkar (Director, Winners Life Training and Consultancy). Also present during the occasion was Shashikant Khamkar (Managing Director, Winners Life Training and Consultancy). Apart from Pendharkar, eight other people also received award during the function.